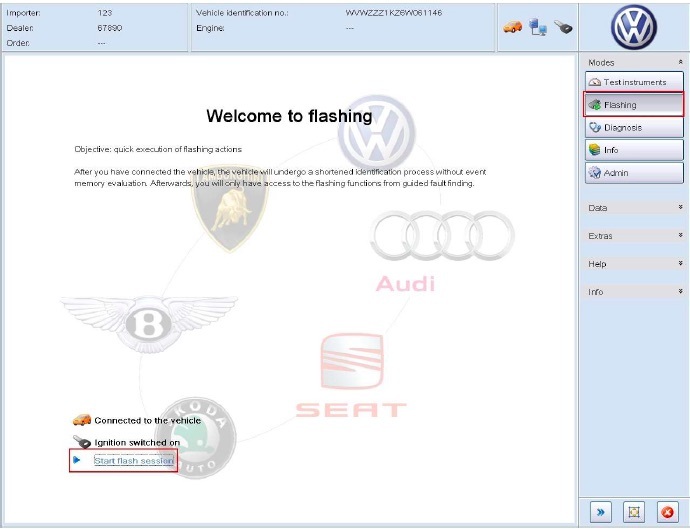 In addition to diagnosis, Offboard Diagnostic Information System Service also offers the ability to flash. 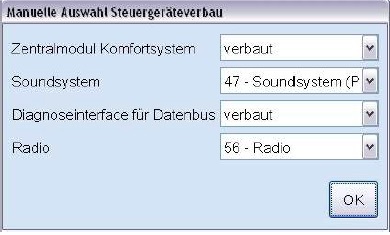 Fault Finding and control module functionalities are not available in this mode. systems is completed, an order is selected for the session and the control modules are identified. 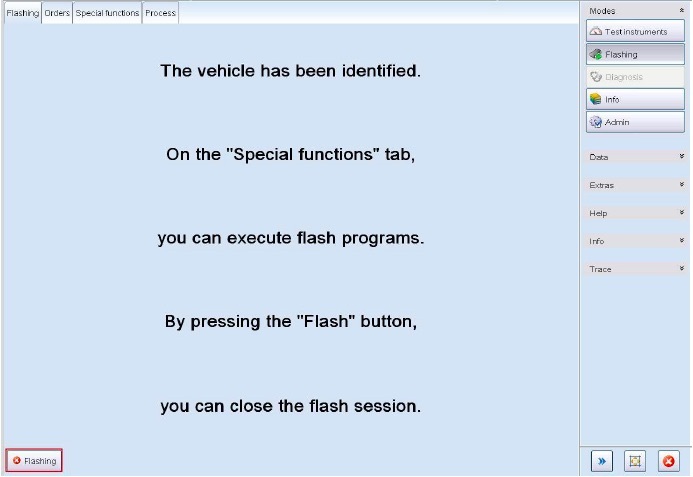 The flash programs determined for the vehicle can then be performed. The flash session ends when the desired flash work is complete. Flashing entry can begin once a permitted diagnostic connection is selected and the vehicle is connected. 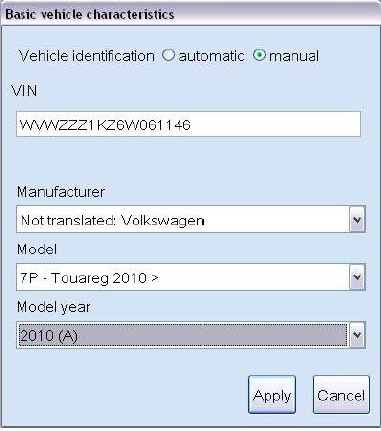 features dialog with entries for VIN , Manufacturer , Model and Model year . 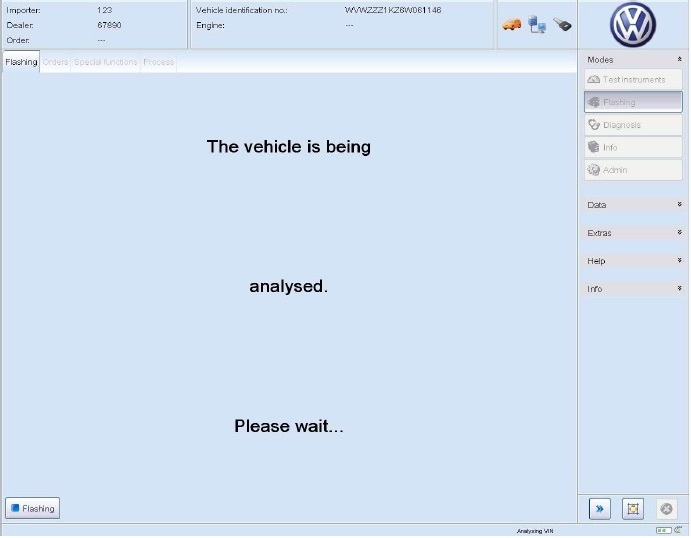 vehicle identification will run completely automatically without displaying the vehicle features dialog. 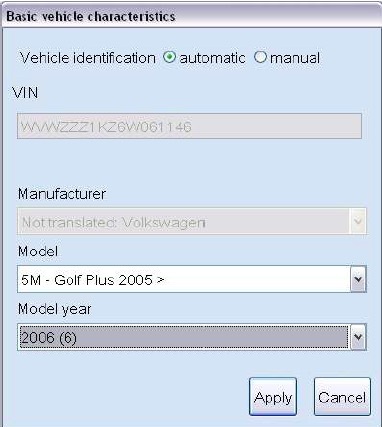 Note that You can switch between manual and automatic vehicle identification. identification, the features with a gray background cannot be changed. opens a login window in order to log in. current vehicle from ElsaPro . and descriptive text about the work order are also displayed. The table that follows lists the meaning of the SCP status numbers. If an order from ElsaPro will be used, the desired order must be marked here. Select order : clicking this button continues flash entry with the order from ElsaPro . Enter number... : Clicking this button opens a window for entering the manual order number. Select order: flash entry continues with the manual order. No order: if you will be working without an order, click this button to continue flash entry. Clicking the desire flash program marks it. The test programs are grouped by theme. switches to the Operation tab. 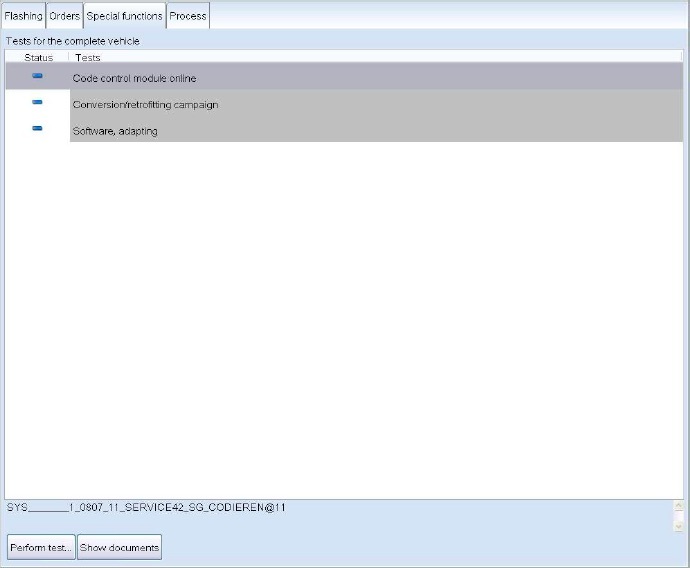 Information System Service then switches to Information mode, Documents tab. The flash programs run the same way the GFF diagnostic programs run. appear in the special function tab. These can then be performed as the other tests. 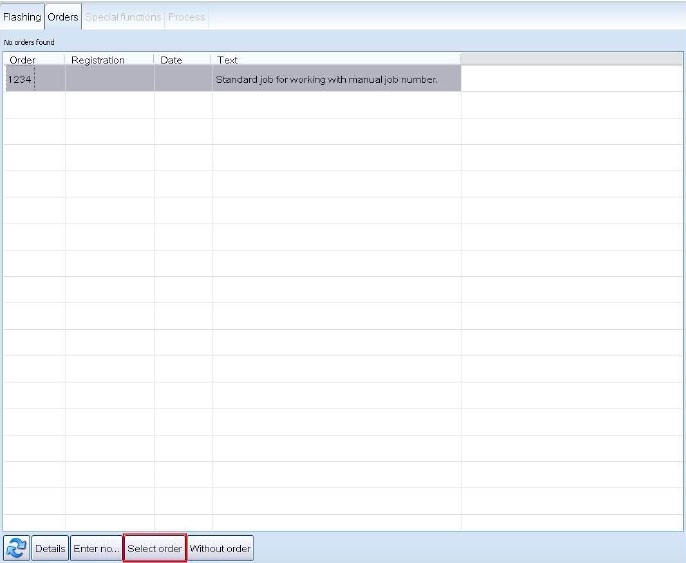 test that allows the user to add the missing basic features. Clicking on x Flashing to begins the process of exiting the flash session. Yes: the flash session ends. No: the flash session does not end. Depending on the vehicle, end module programs may run here just as they do when exiting Guided Fault Finding. It is also possible to send a feedback about a flash session. The feedback can also be skipped. Offboard Diagnostic Information System Service then returns to the start page in the Flashing mode.